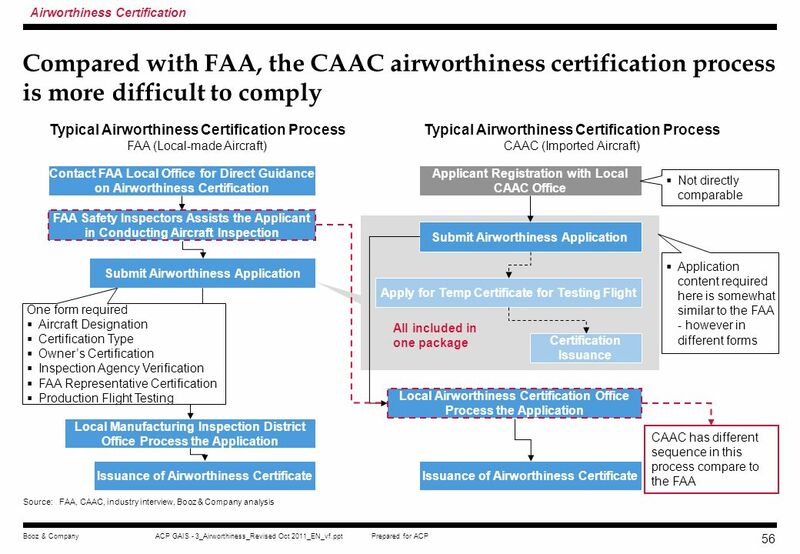 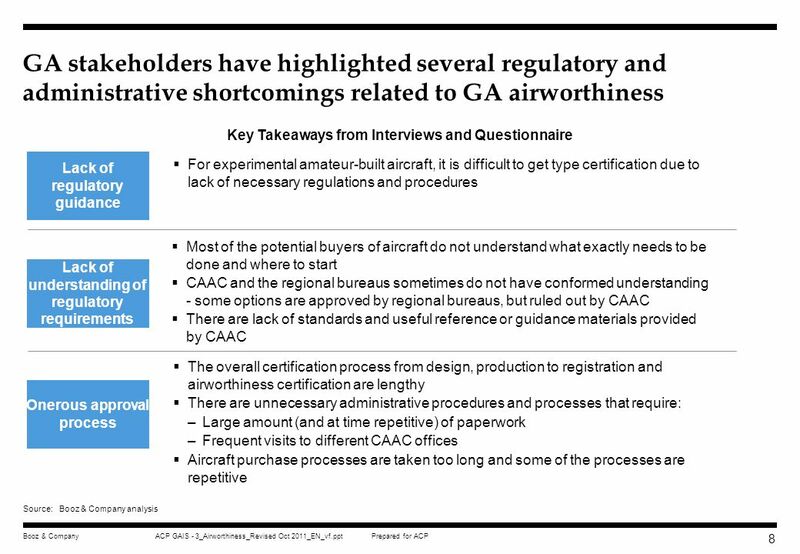 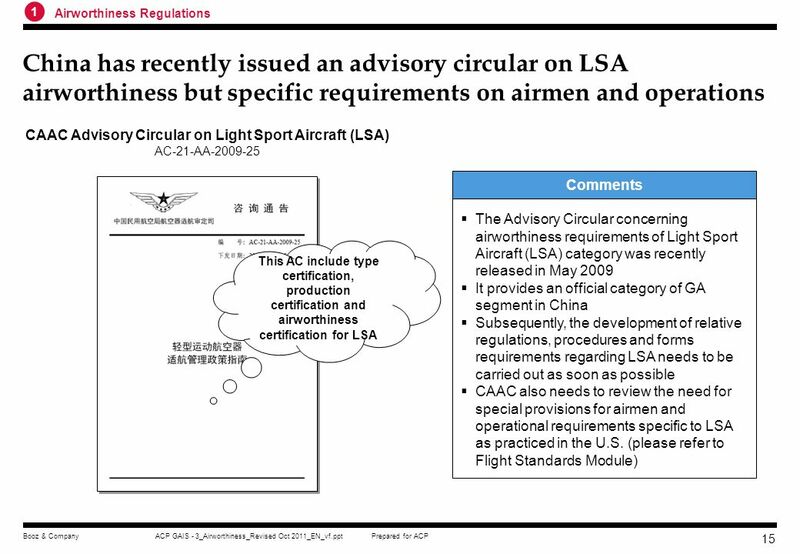 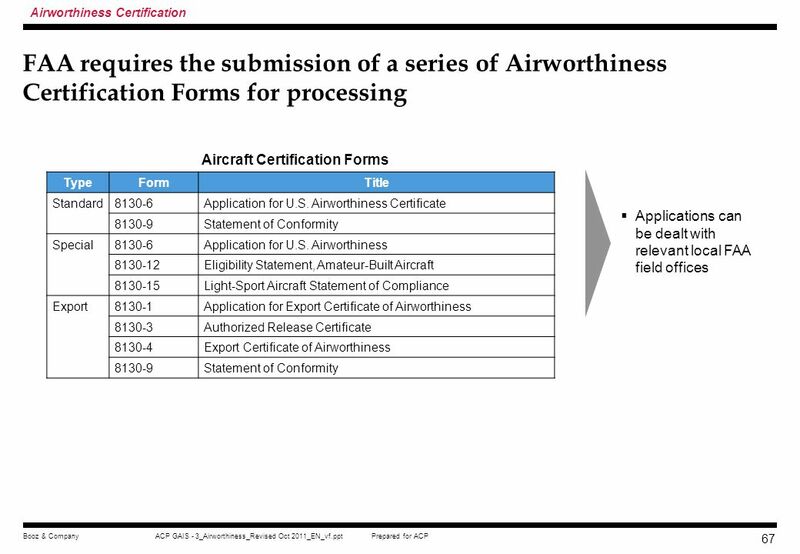 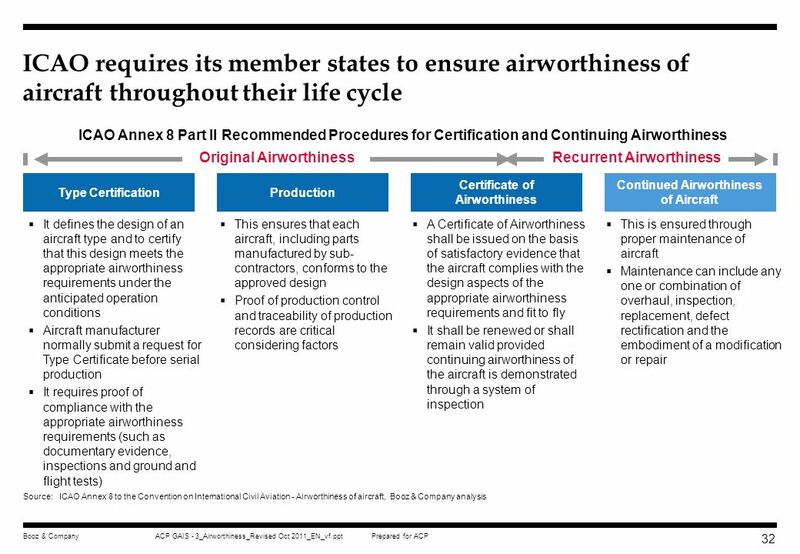 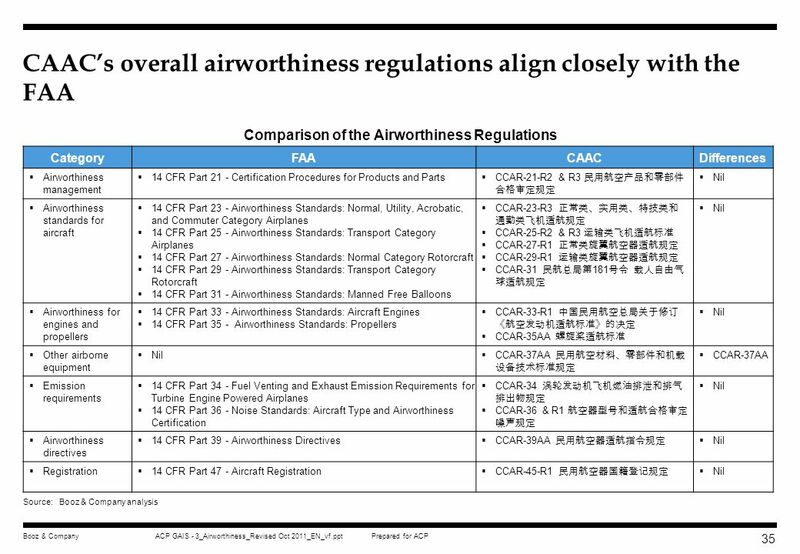 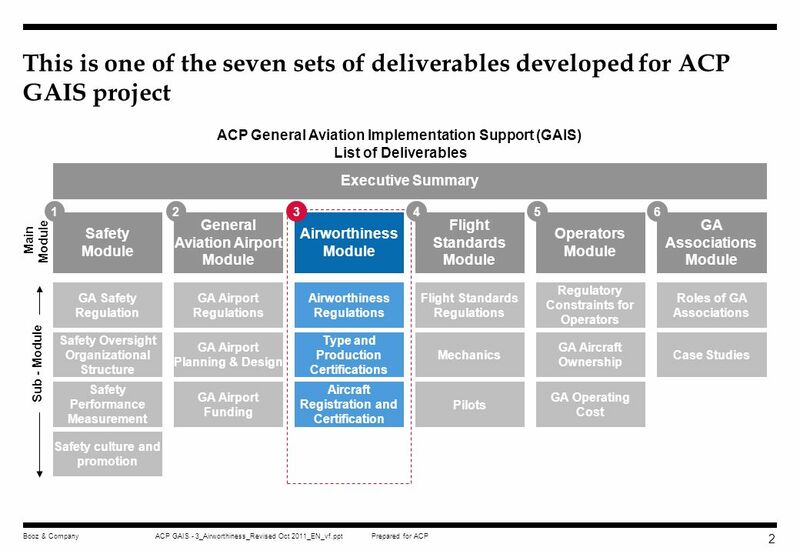 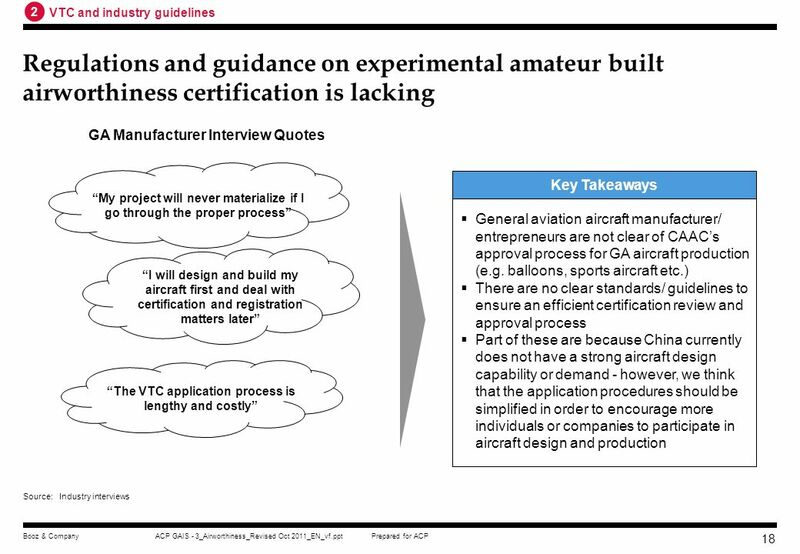 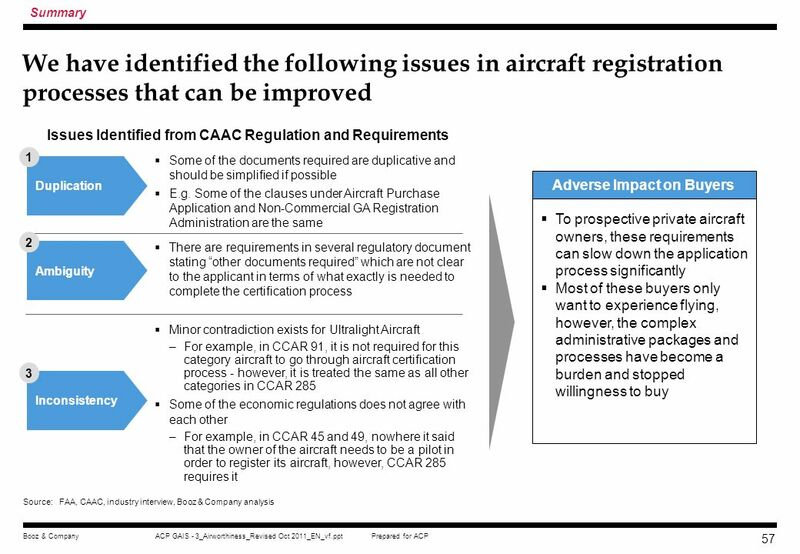 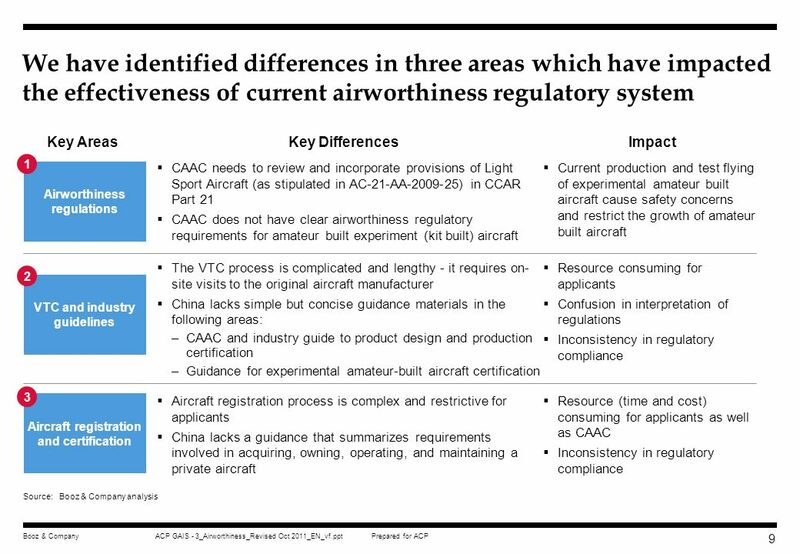 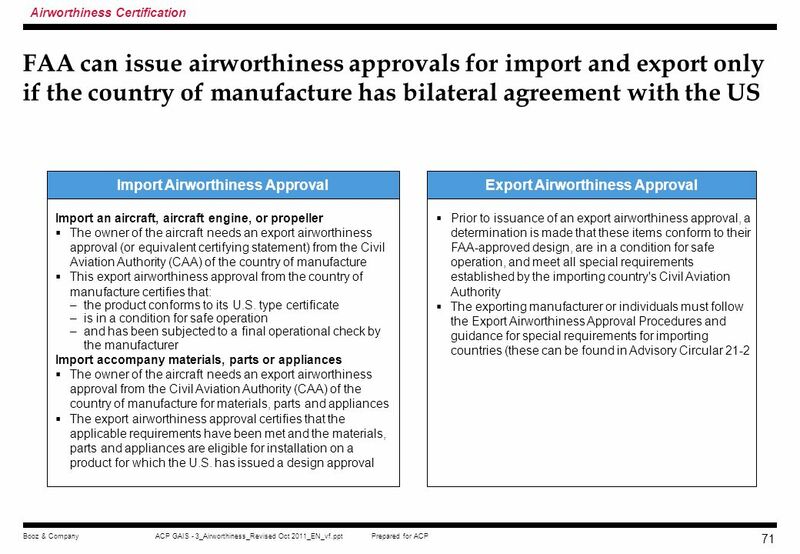 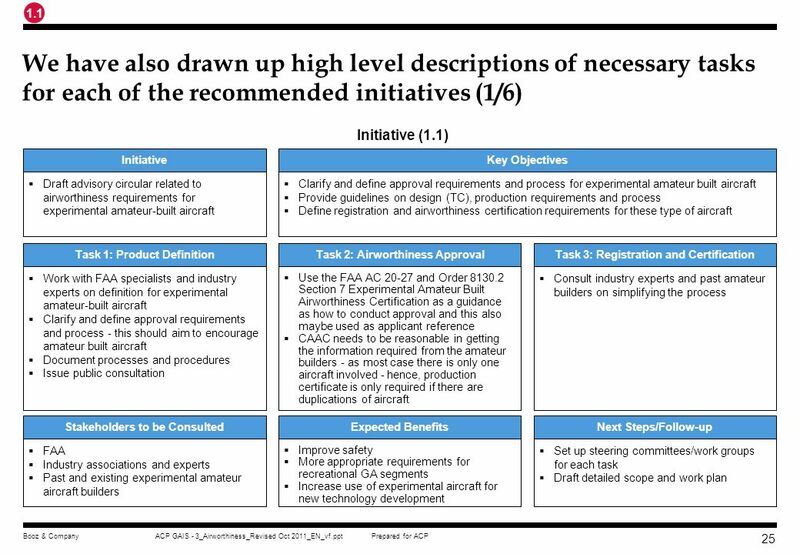 Purpose of Document The intent of this document is to provide a detailed handover of all analysis and materials relating to regulatory gap studies on Airworthiness. 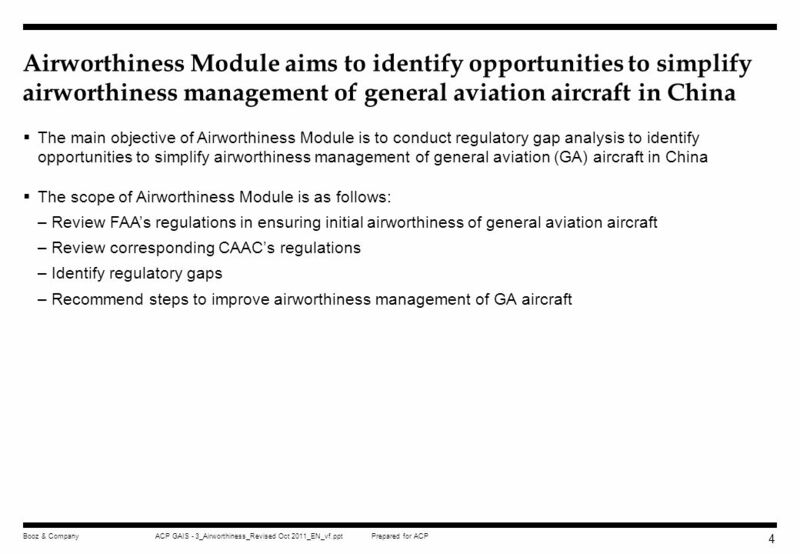 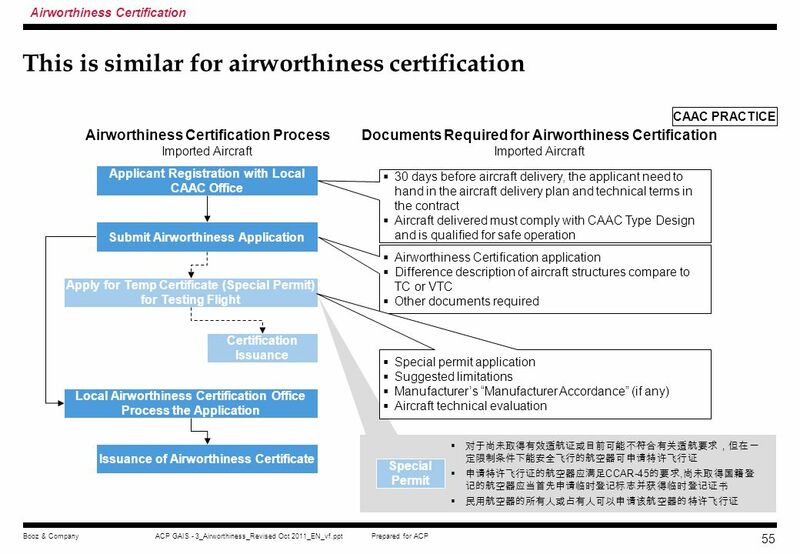 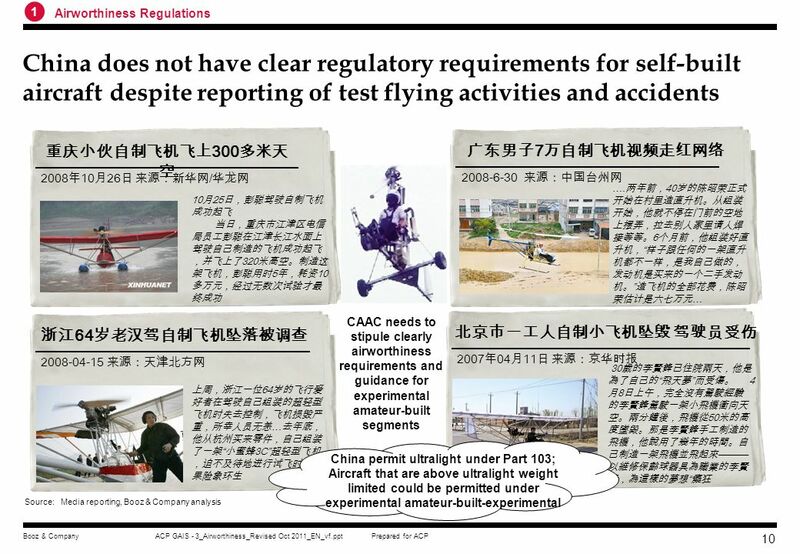 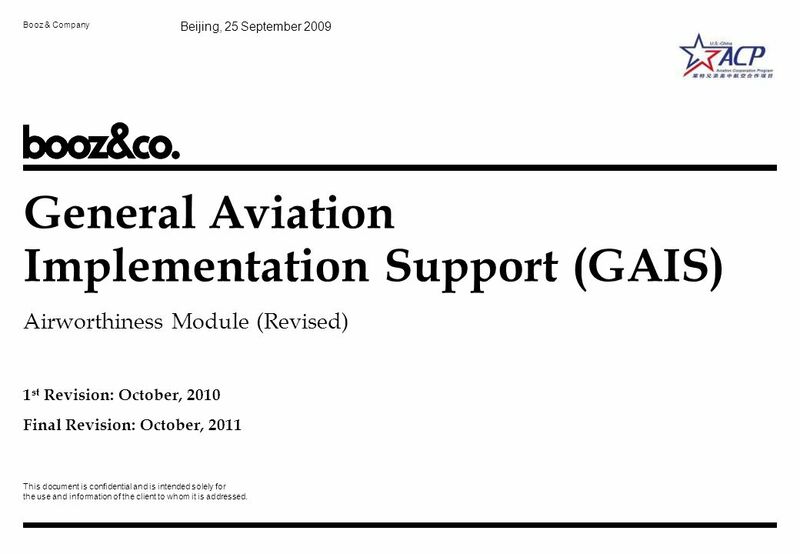 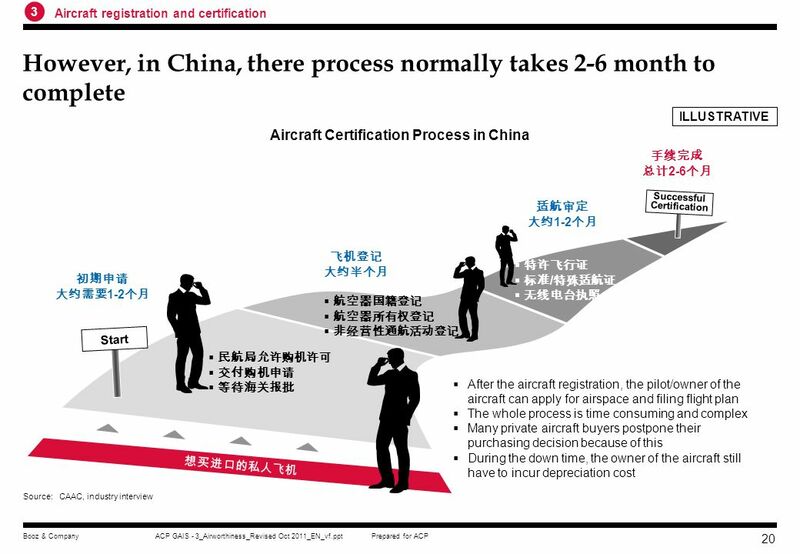 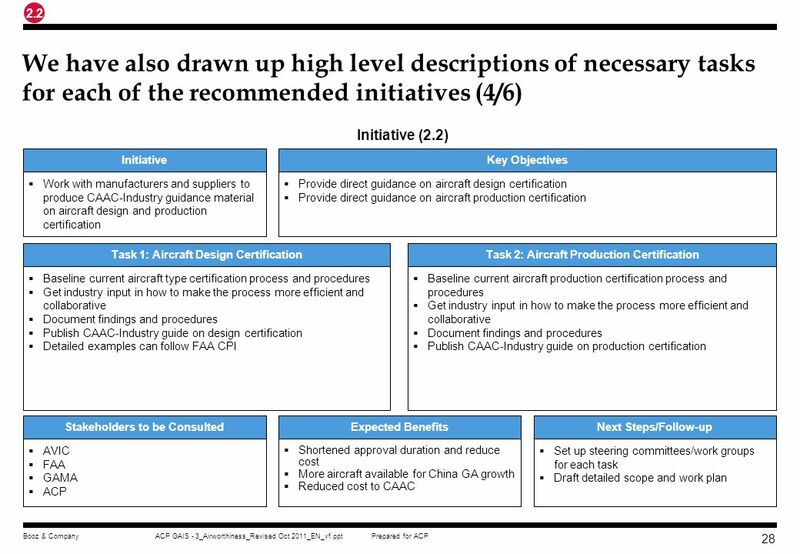 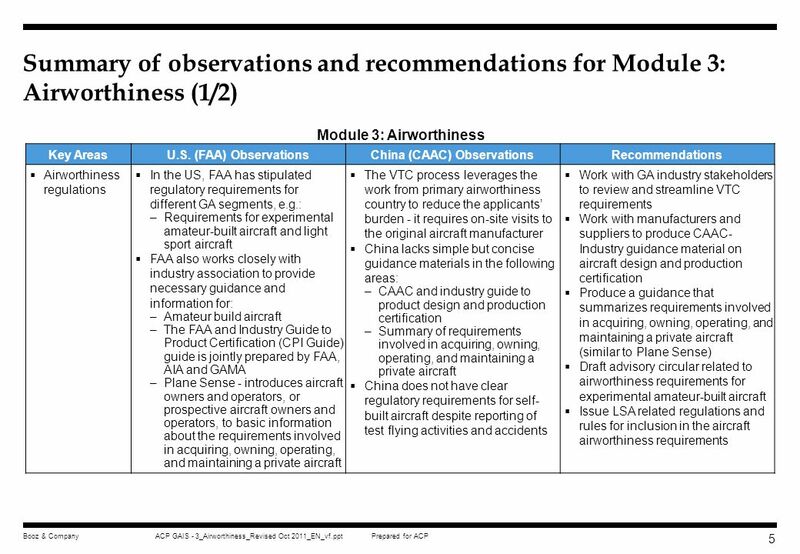 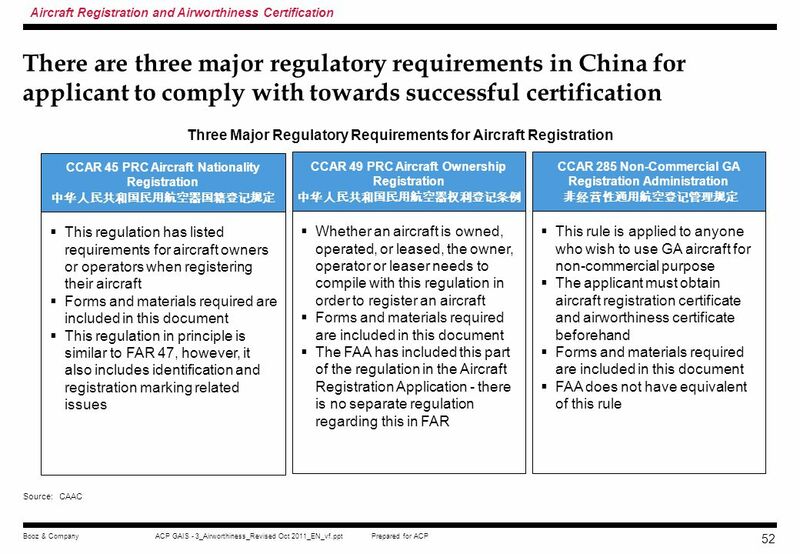 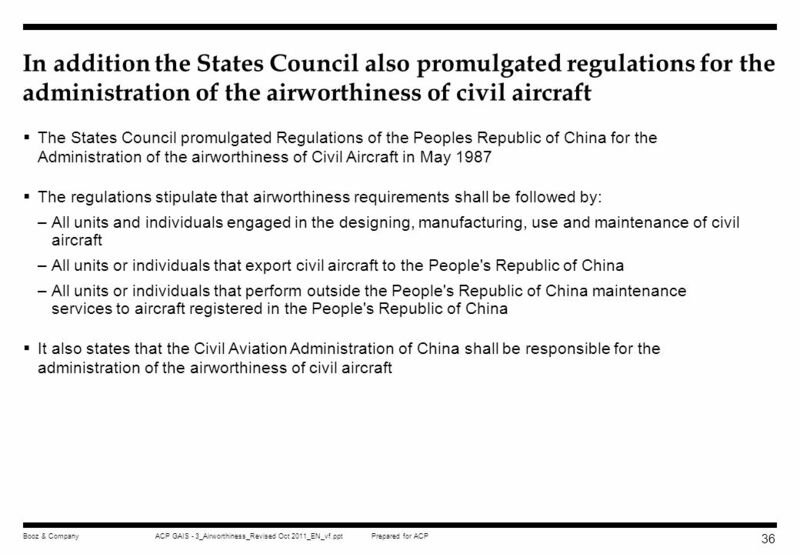 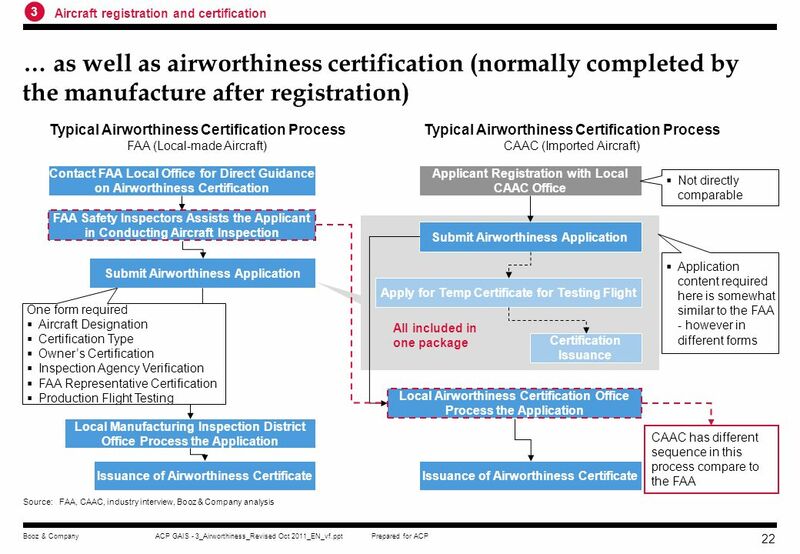 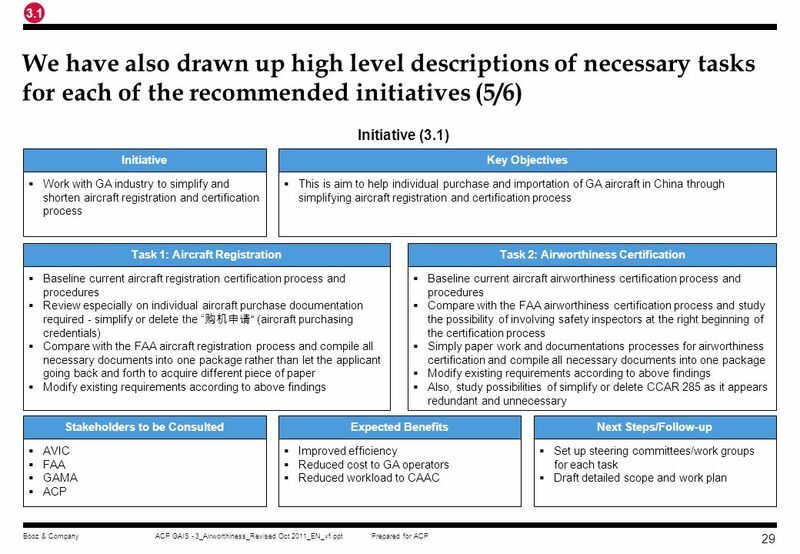 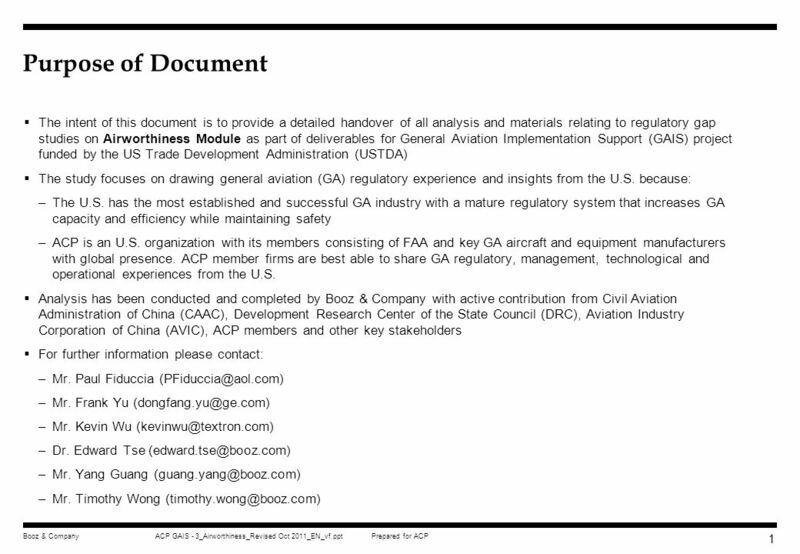 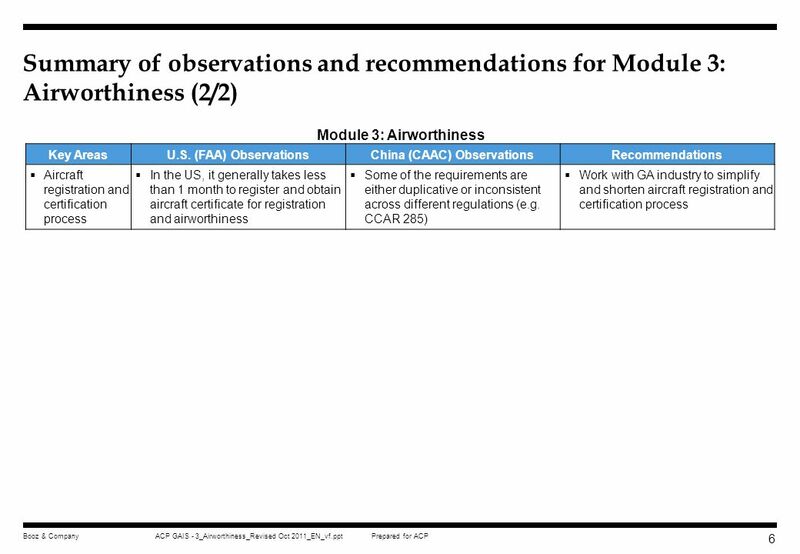 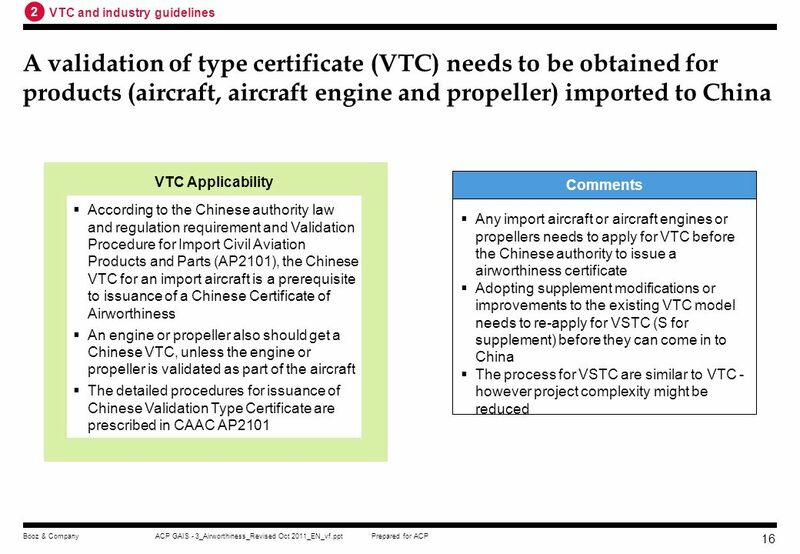 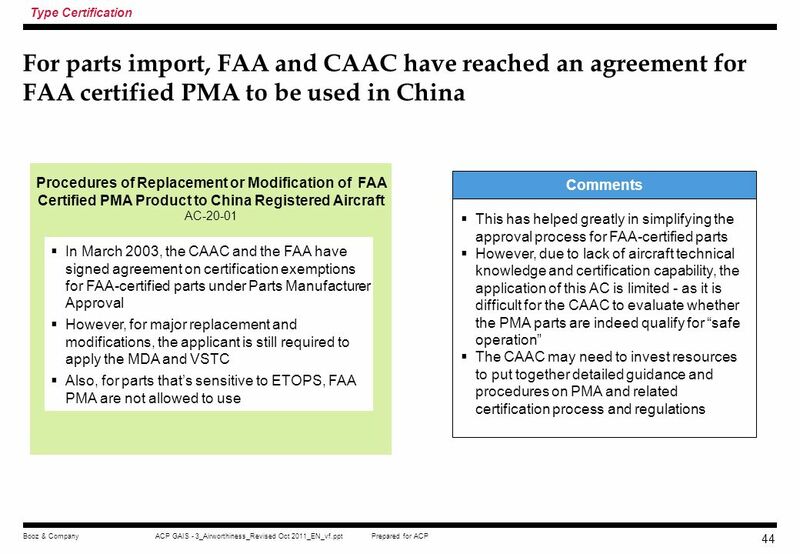 Booz & Company Beijing, 25 September 2009 General Aviation Implementation Support (GAIS) Airworthiness Module (Revised) 1st Revision: October, 2010 Final Revision: October, 2011 This document is confidential and is intended solely for the use and information of the client to whom it is addressed. 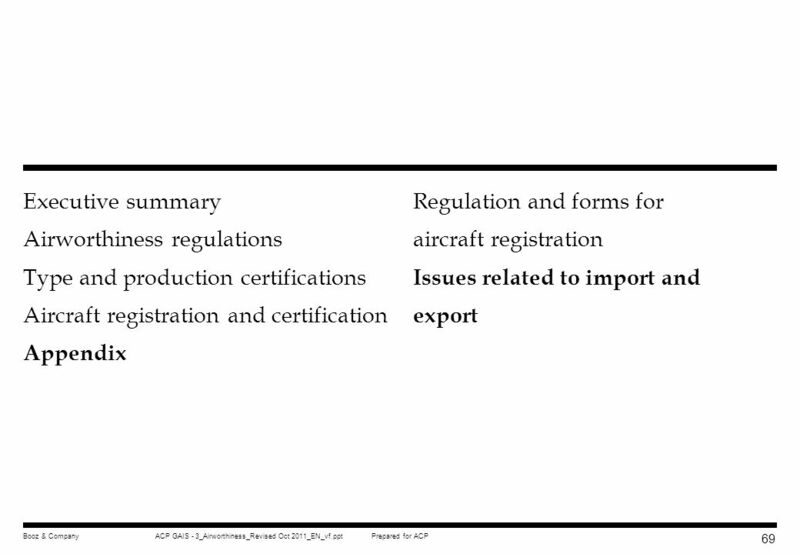 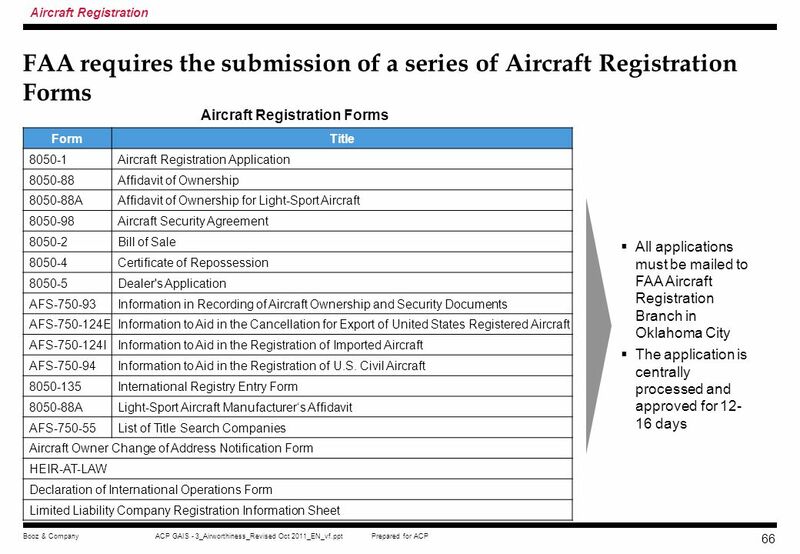 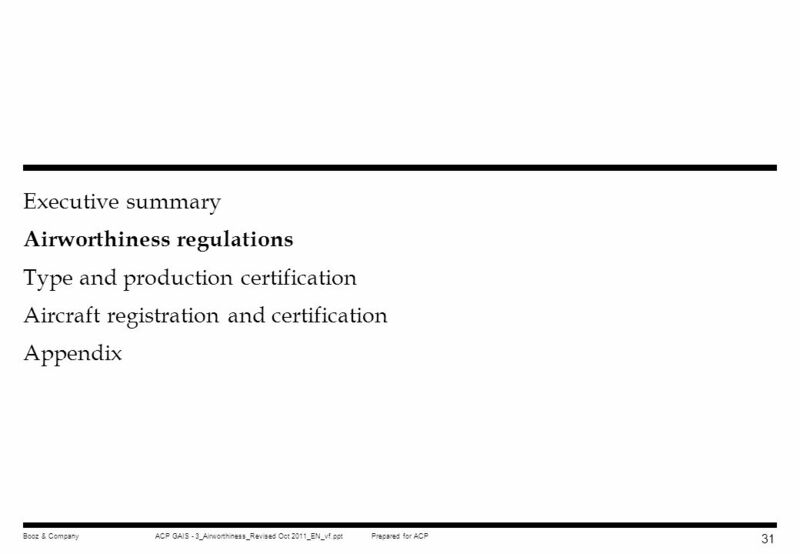 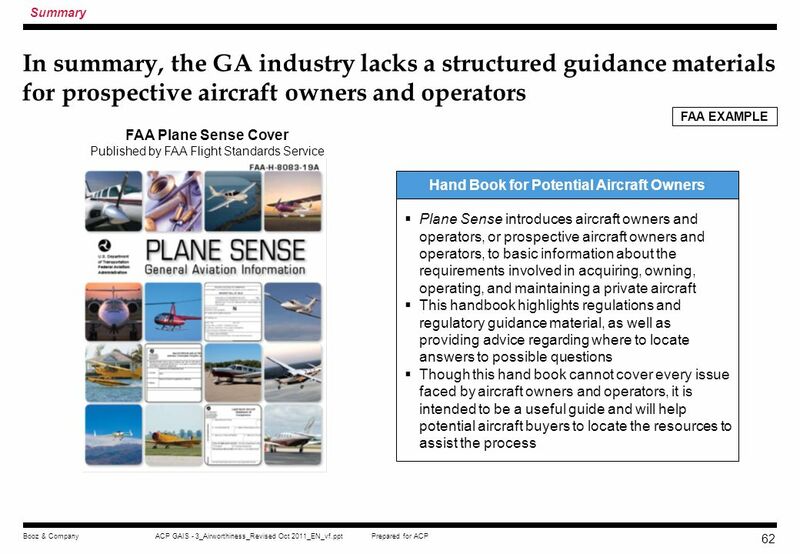 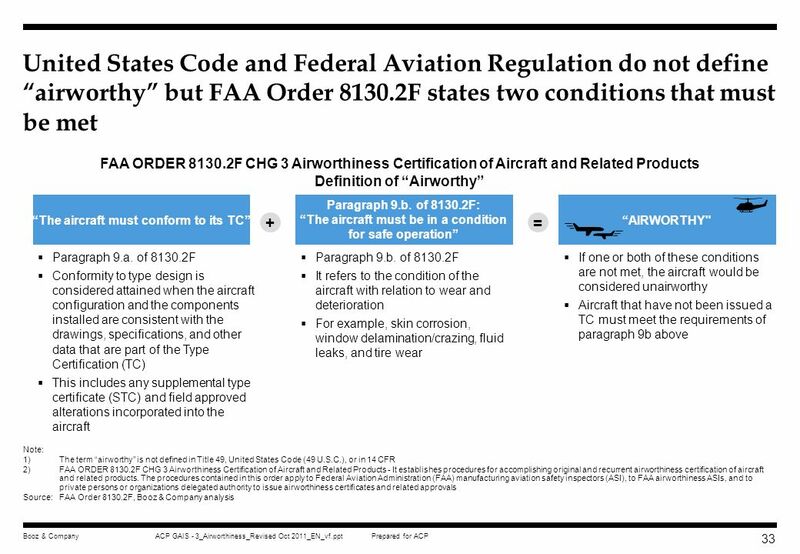 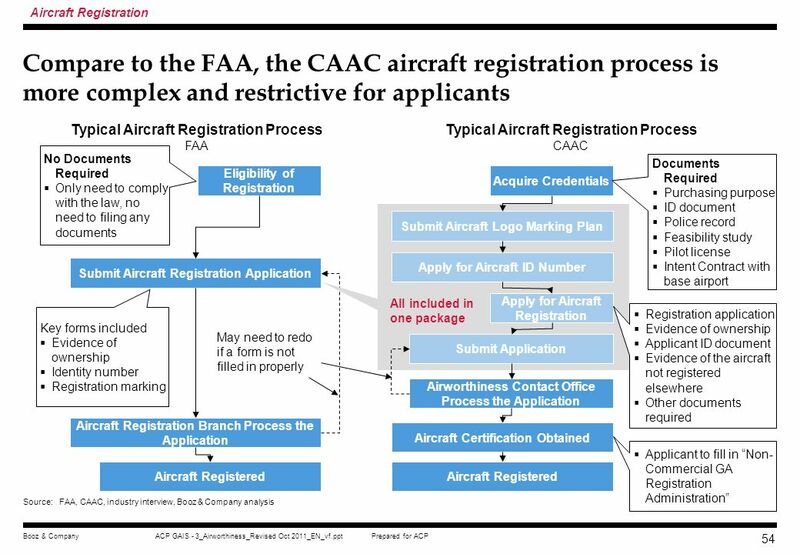 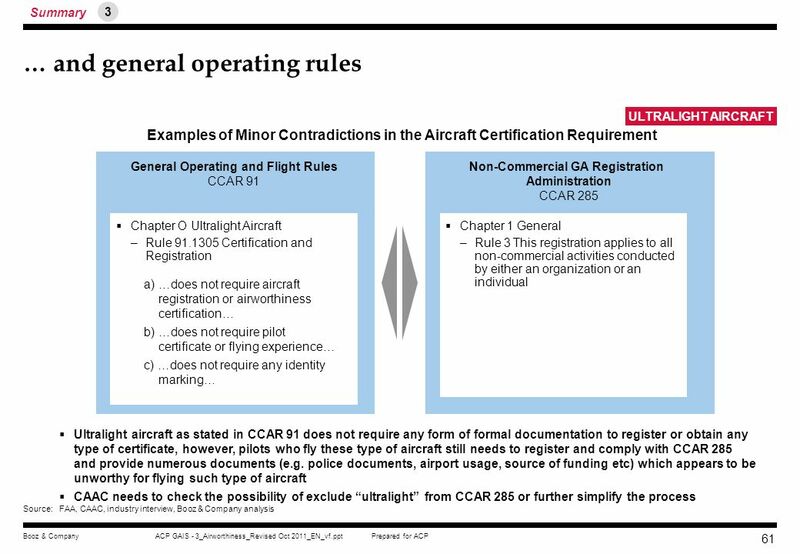 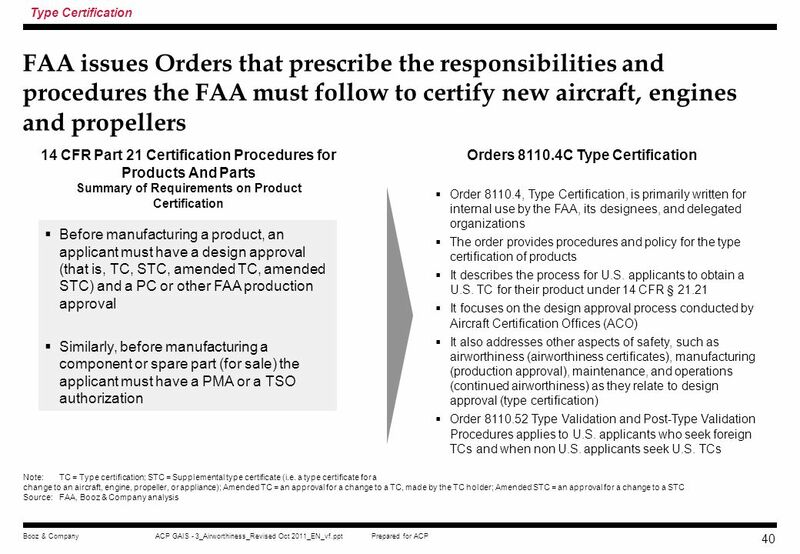 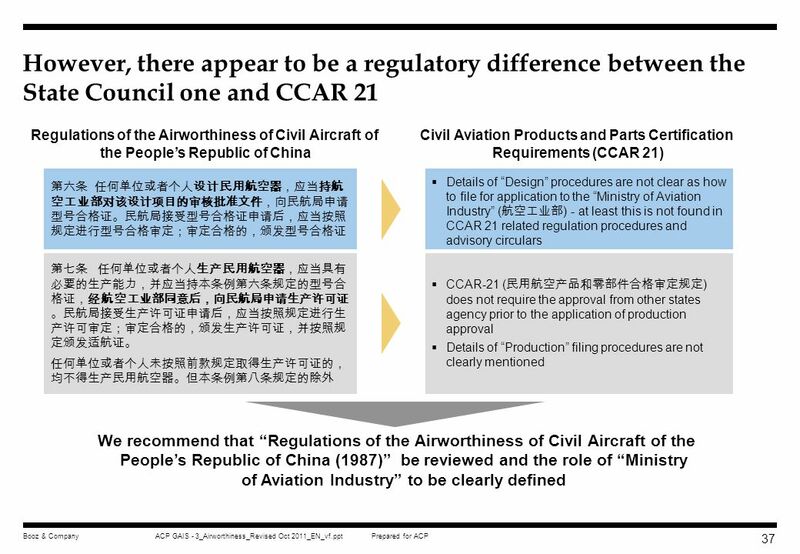 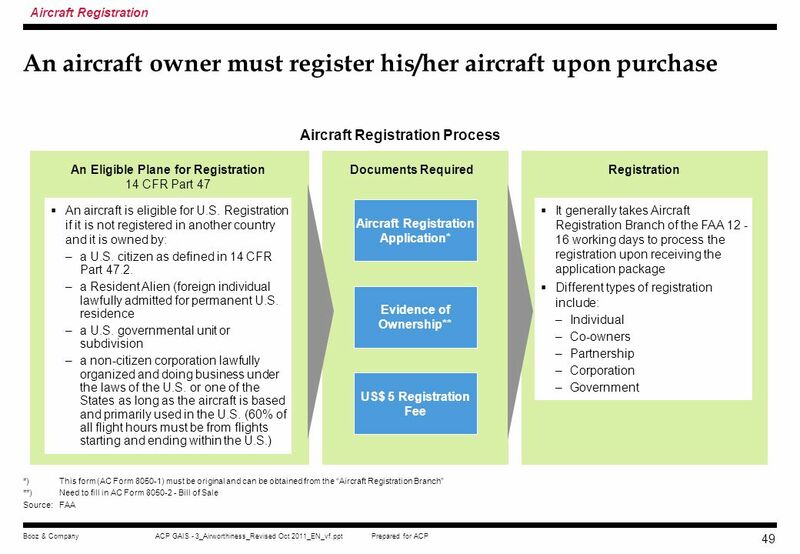 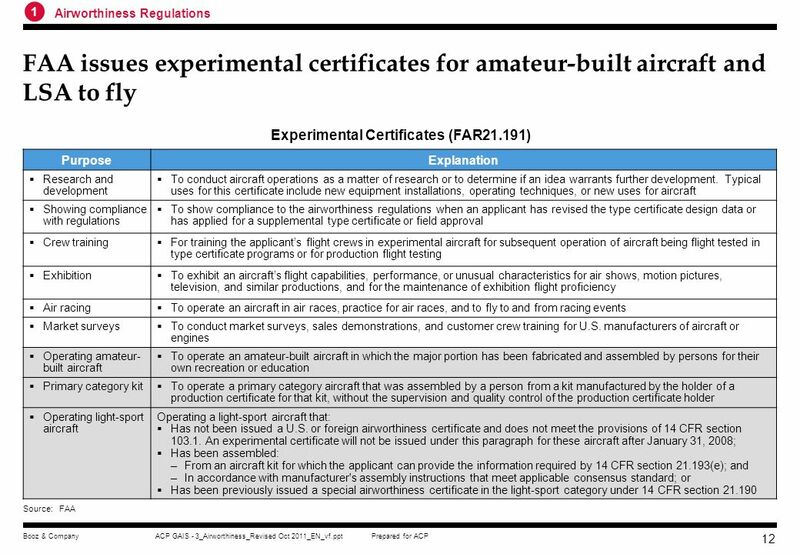 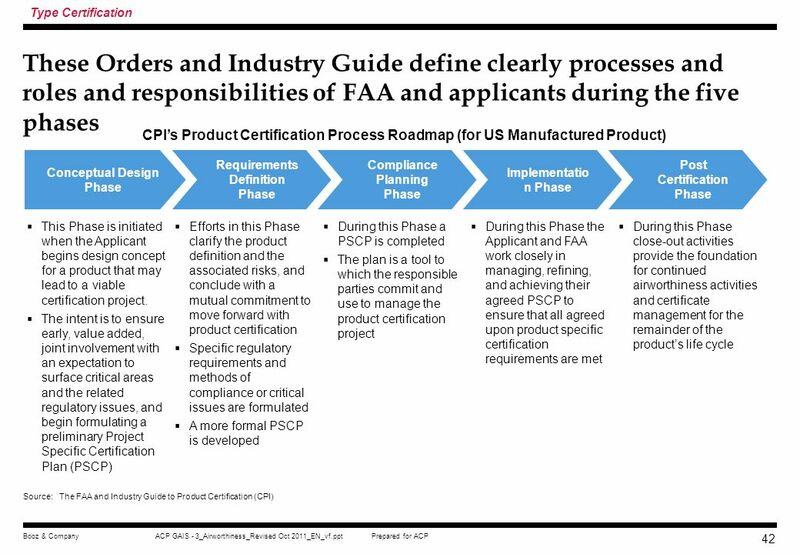 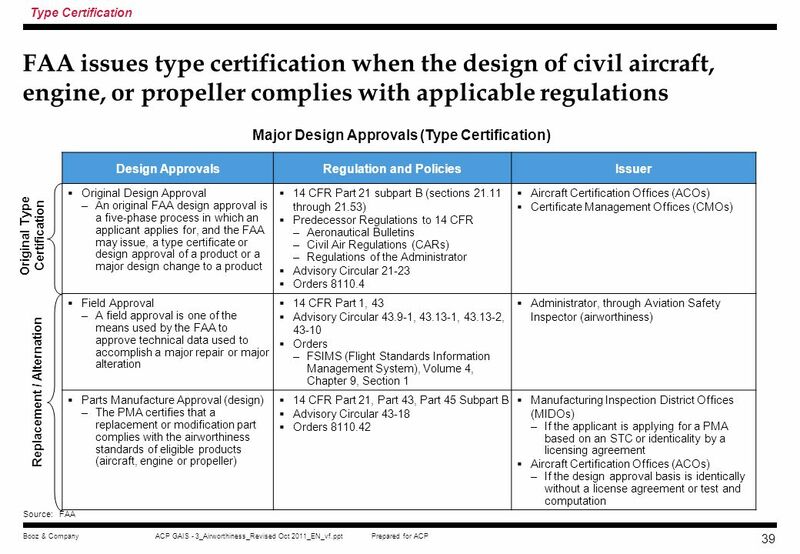 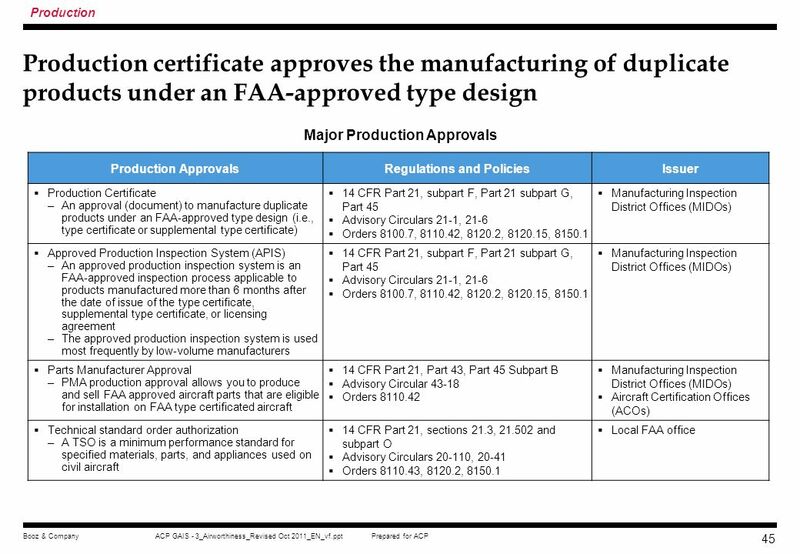 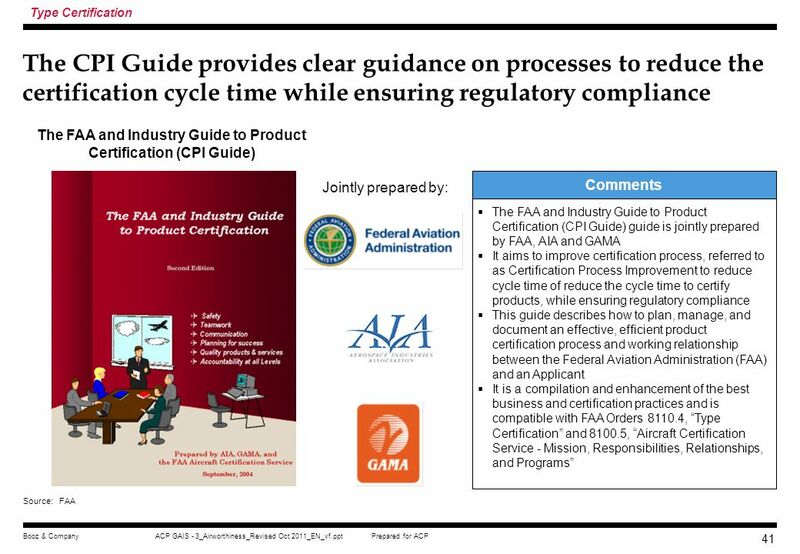 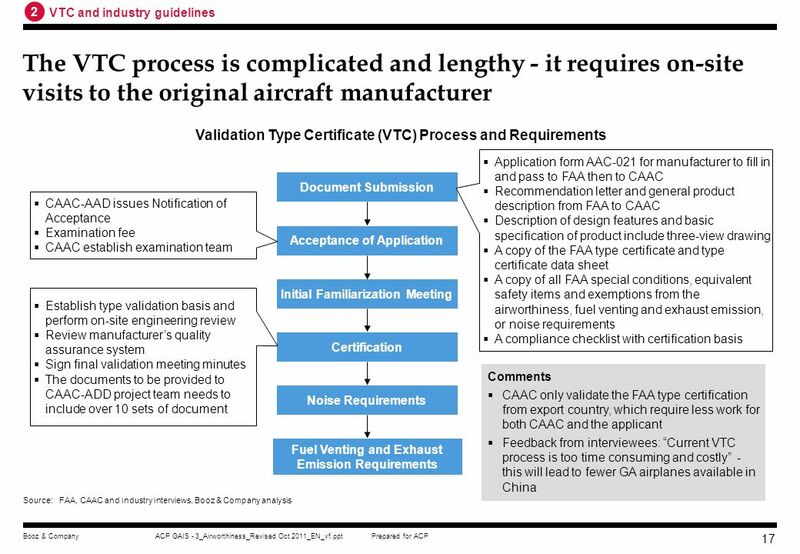 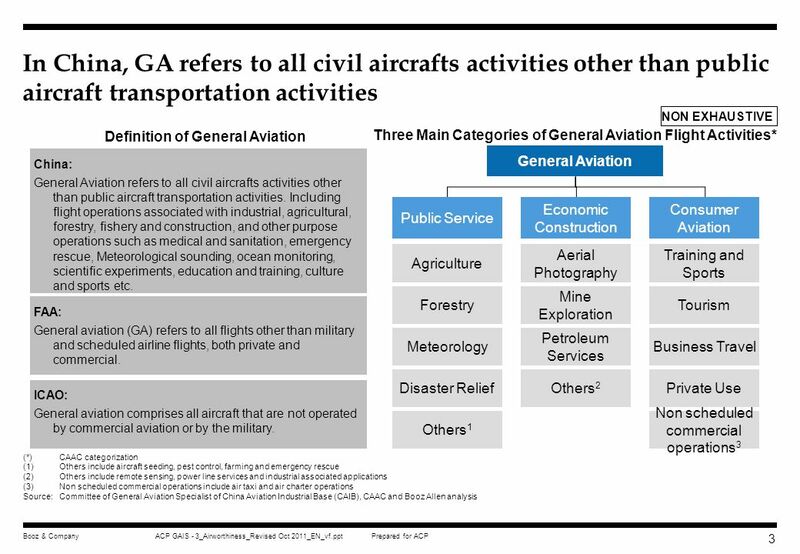 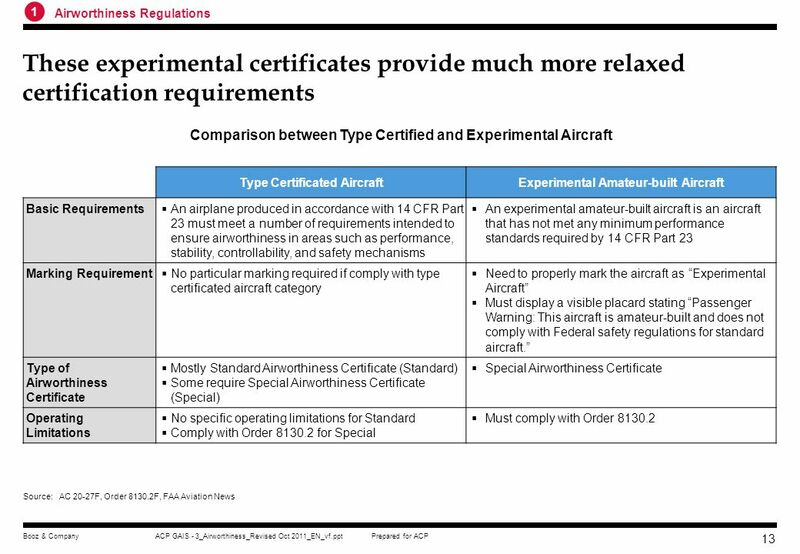 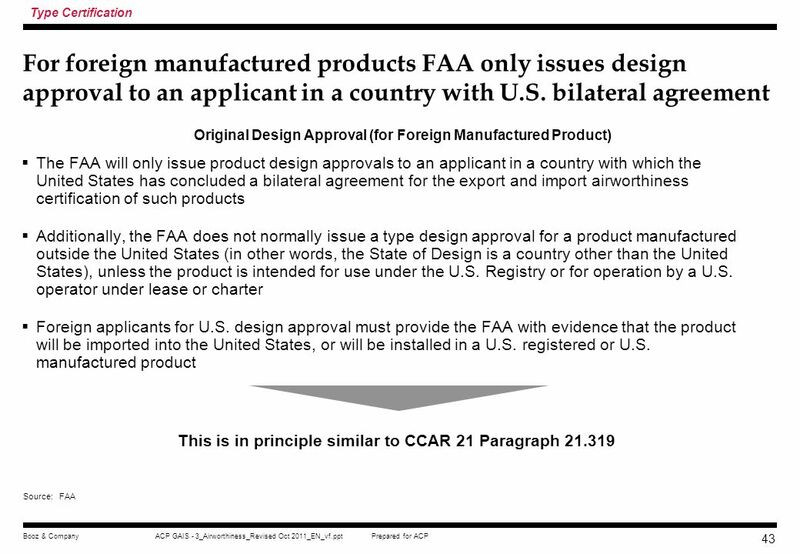 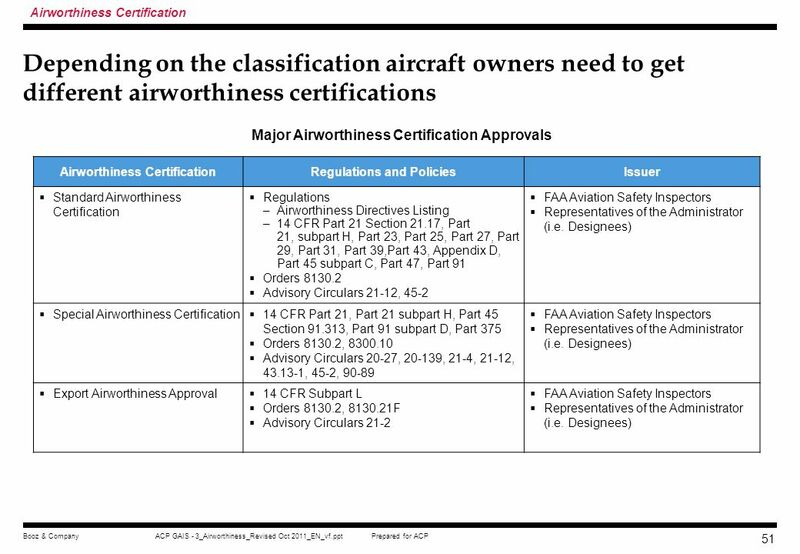 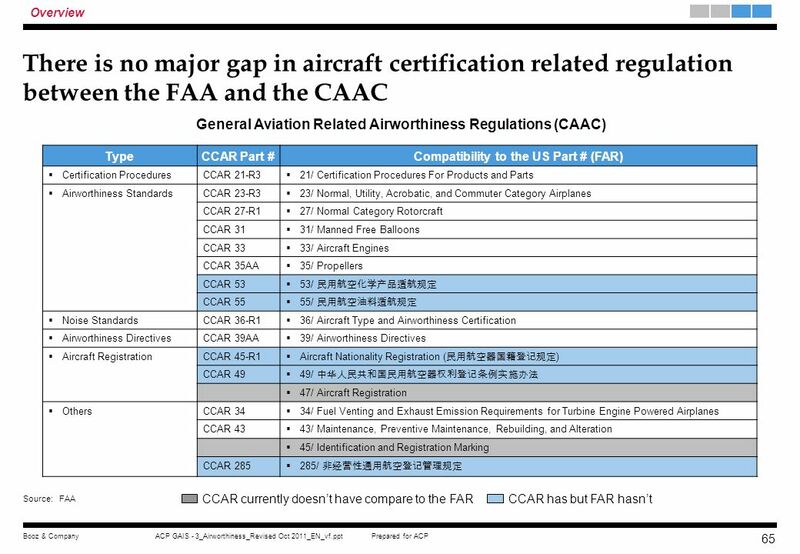 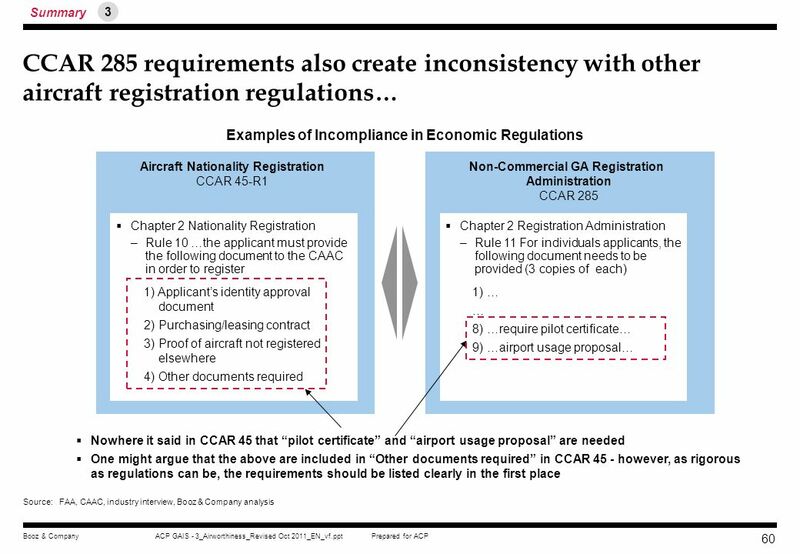 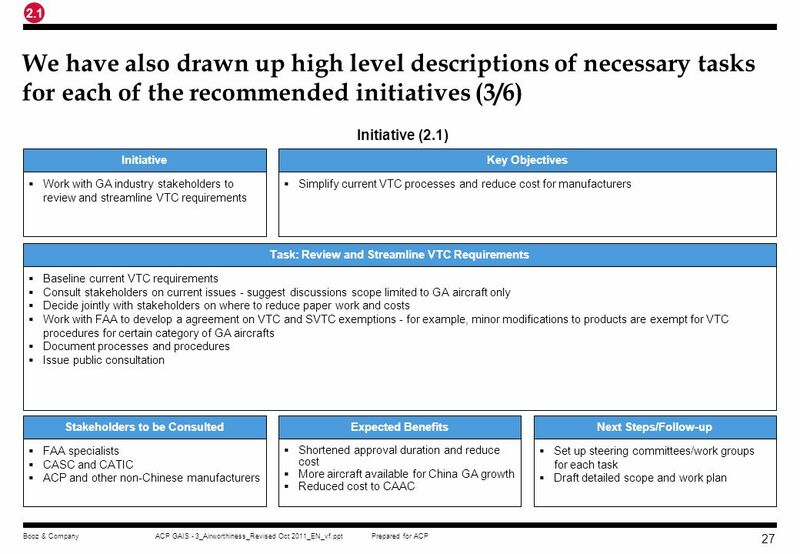 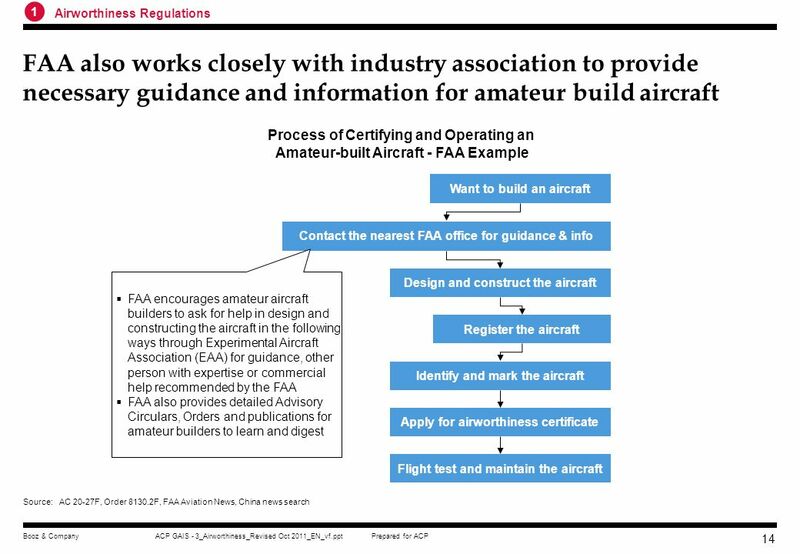 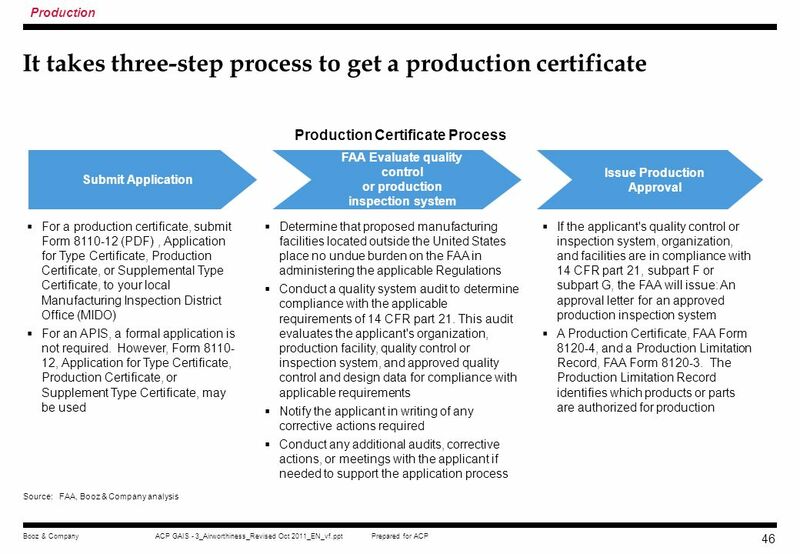 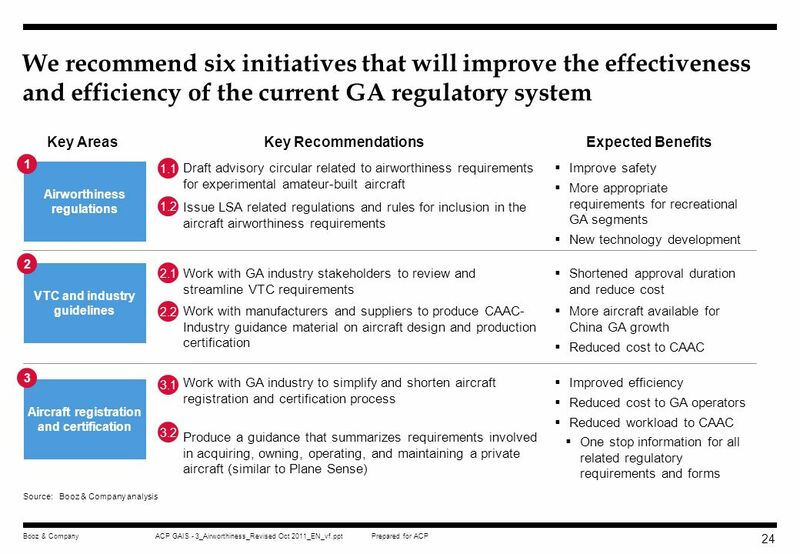 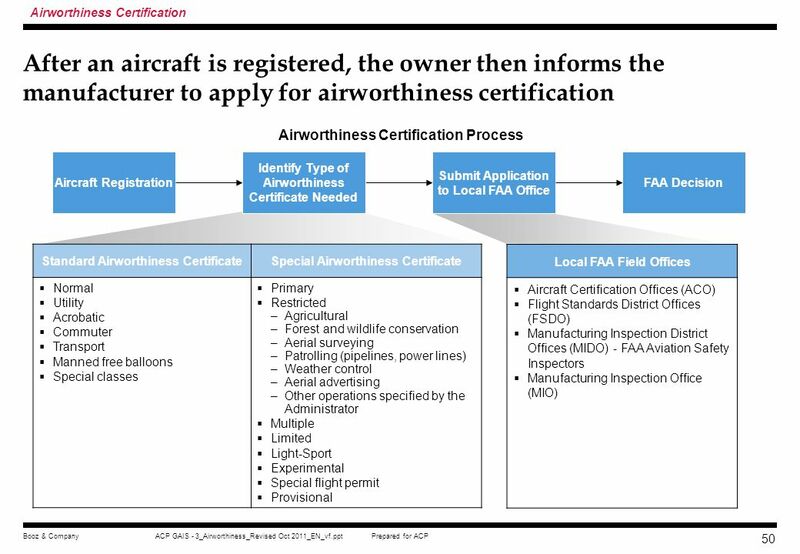 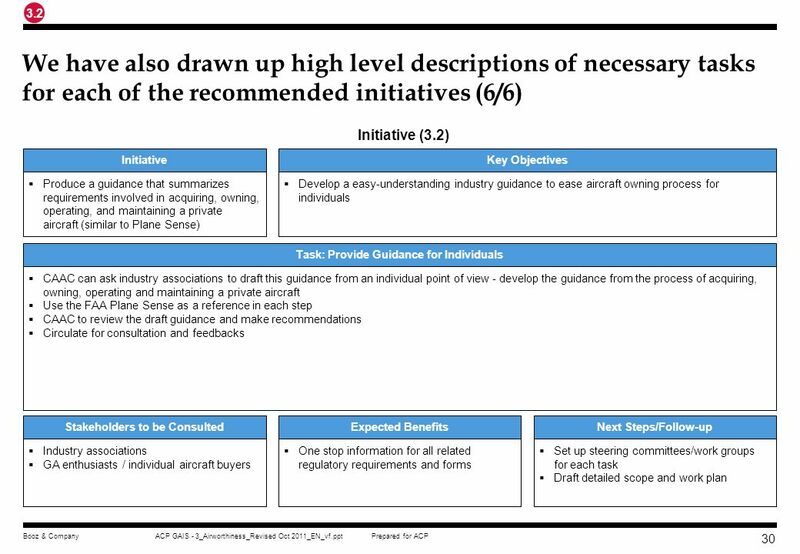 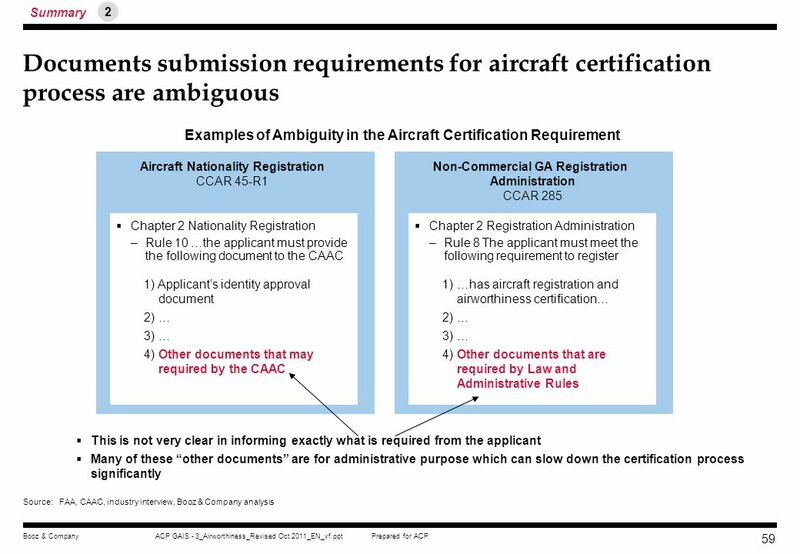 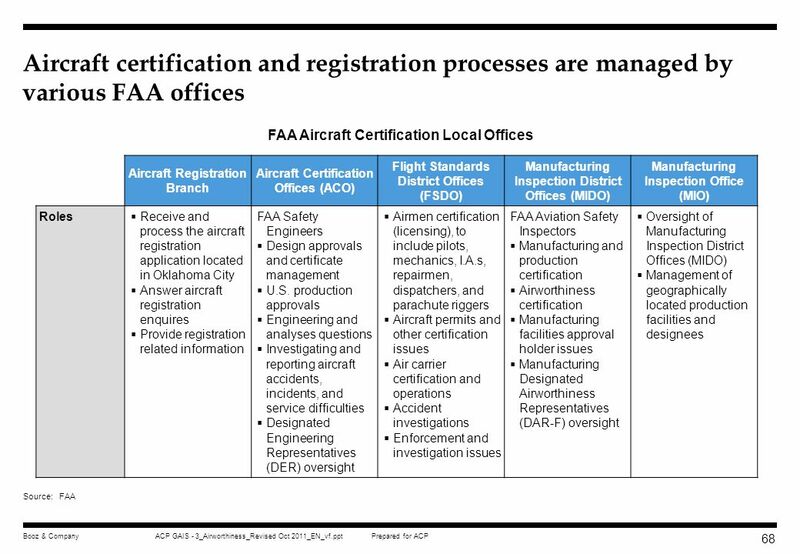 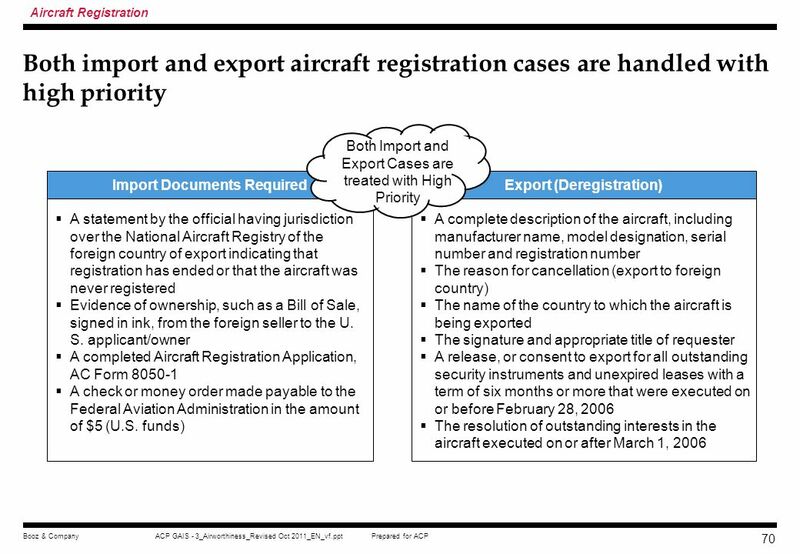 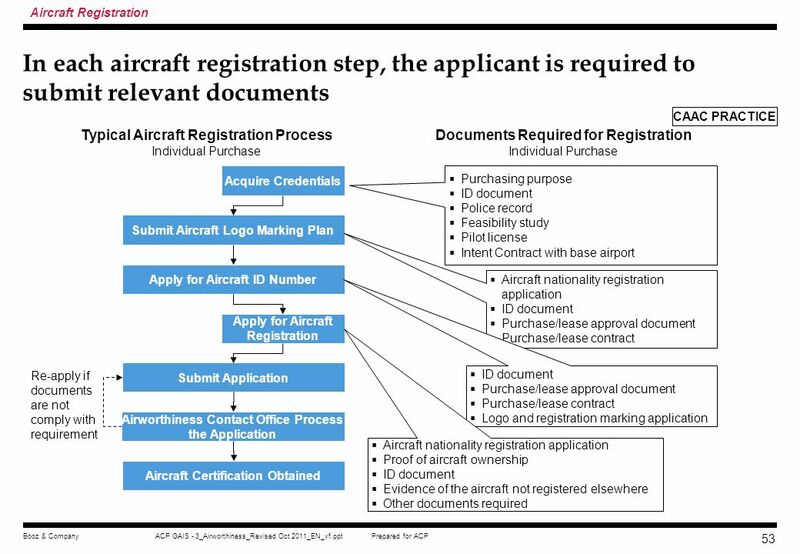 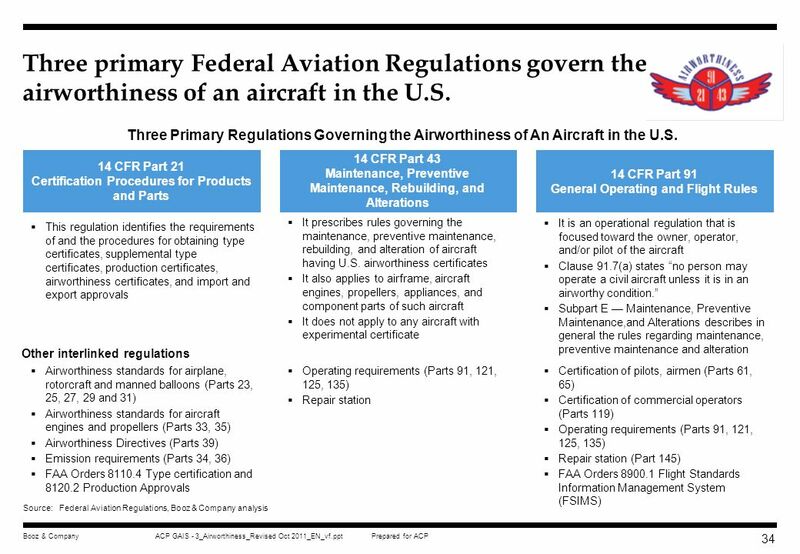 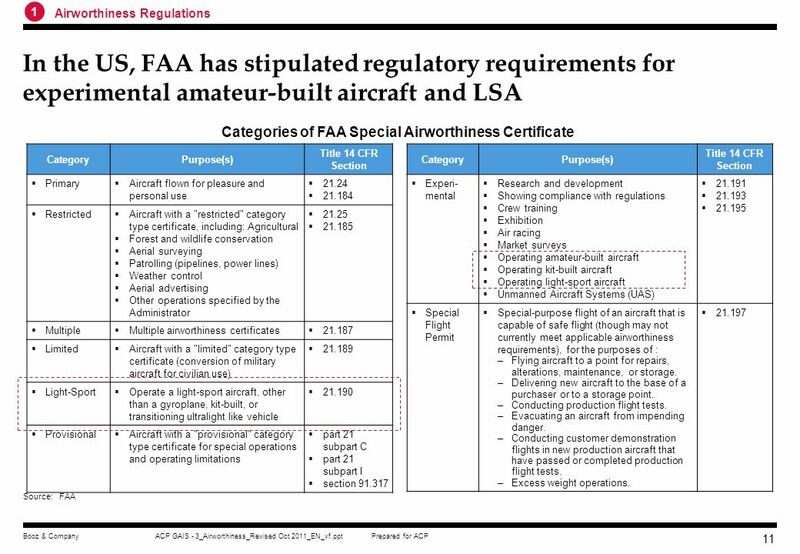 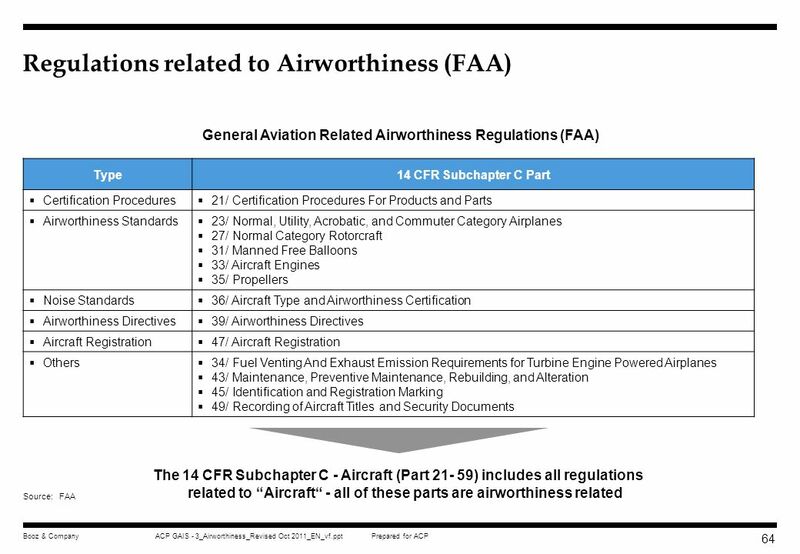 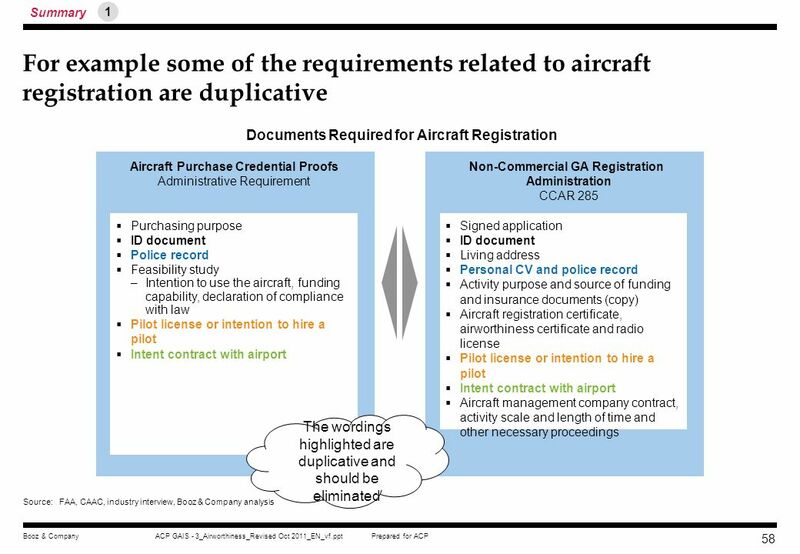 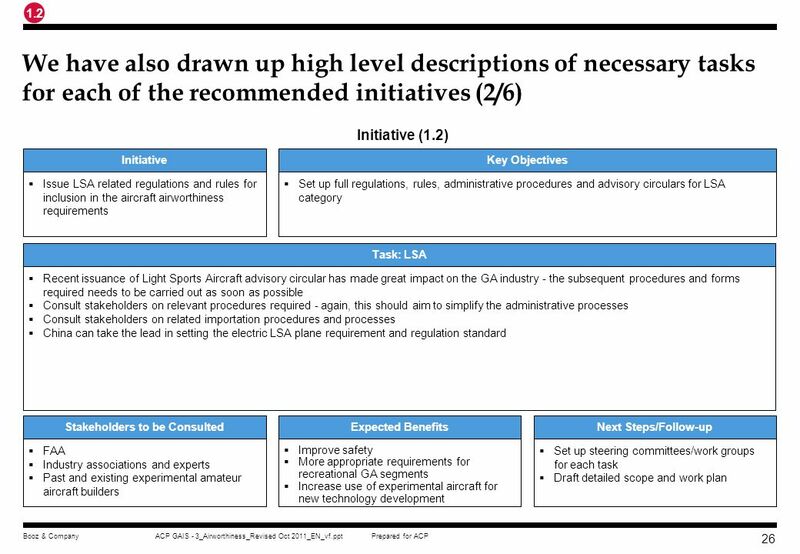 34 Three primary Federal Aviation Regulations govern the airworthiness of an aircraft in the U.S.
Download ppt "Purpose of Document The intent of this document is to provide a detailed handover of all analysis and materials relating to regulatory gap studies on Airworthiness." 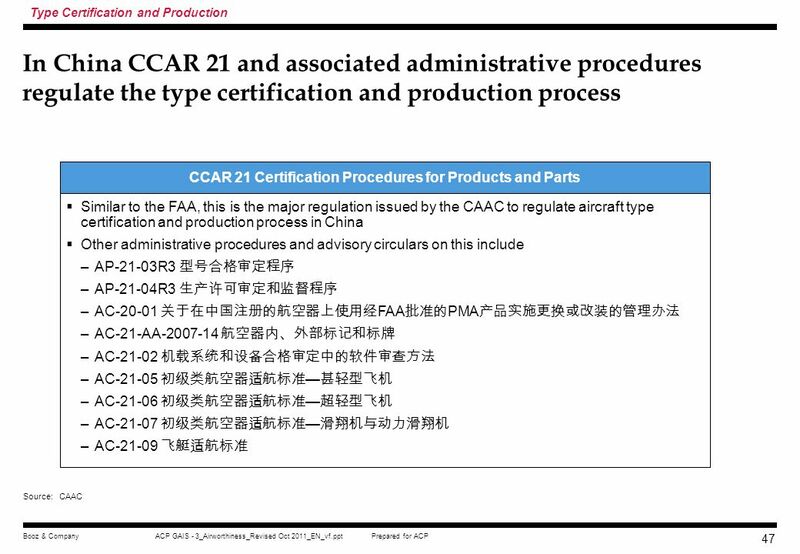 What is IACRA? 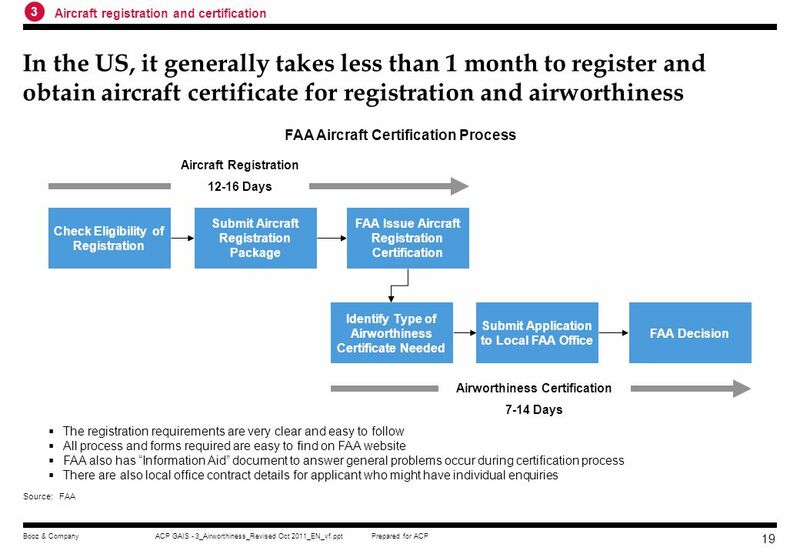 IACRA, the Integrated Airman Certification and/or Rating Application, is a web-based application that uses online validation and digital.